appeared in the Guardian, 11 August 2010. So says W. H. Auden, writing in 1963, in his introduction to The Art of Eating, a compilation of five of M.F.K. 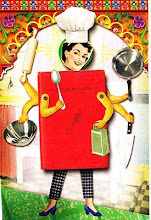 Fisher's books – Serve it Forth (1937), Consider the Oyster (1941), How to Cook a Wolf (1942), The Gastronomical Me (1943) and An Alphabet for Gourmets (1949). As a newcomer to Mrs.Fisher's prose, I decided I should begin by testing it as suggested. In ' I is for Innocence' she writes of the ghastliest meal of her life which was prepared for her by a friend she describes as 'a large, greedy and basically unthinking man'. The point of the story is that food prepared with some 'warmth and understanding', with honesty and generosity will always please even if the food itself is dreadful. Mrs. Fisher asserts that 'A truly innocent cook or host is never guilty of the great sin of pretension, while many an ignorant one errs hideously in this direction'. And a man capable of pretension is not only cheating his guests but is also 'incapable of telling the truth to himself'. Strong stuff, but Mrs. Fisher is nothing if not opinionated. I wouldn't have said that the three pages of this anecdote represented the very best of her writing but then I am no W. H. Auden, nor, to be truthful, am I a fan of Mary Frances Kennedy Fisher. I admit this with some trepidation given the praise lavished on her by the likes of Paul Levy, Allan Davidson, Jane Grigson and a host of other writers. On the whole I found her prose dense and convoluted and a bit obscure. There is something about the tone of her writing that smacks of smugness and superiority which made me think of her as rather uncharitable and unsentimental. Would you say of someone who is a friend that they were 'large' and 'greedy' and 'basically unthinking'? Would you, to prove a point, tell the world that this man produced the ghastliest food you had ever eaten? So whilst I understand and appreciate what she is getting at in 'I is for Innocence' I feel very uncomfortable with the way she goes about it. It's not what she says that I object to, just the way that she says it. Some of her pieces, particularly those in The Gastronomical Me, are highly personal, almost embarrassingly so, but at the same time strangely impersonal. She tells you just so much and no more so that many of the stories are inconclusive and you find yourself wondering what it was all about. Obviously fiercely independent she paints a portrait of herself as both feminine and staunchly feminist but somehow never seems to quite let you see her real self. That's not to say that she doesn't have a way with words and she can tell a good story, more importantly she has some good stories to tell but in the end I felt unwelcome. I didn't feel that we had been on the journey together or that she cared much about her reader. Overall the tone of much of her prose struck me as not just self-confident but studied and self-indulgent. Friends tried to convince me that I was the one being ungenerous, that perhaps I should allow for the writing having dated somewhat, and of course for every one of my negatives they were able to point to pages of positives, to expressive and perceptive passages, to eloquent descriptions and witty analogies. Whilst I could see what they are getting at I still felt disappointed. Perhaps Mary Frances and I were just not on the same wavelength. I searched to find anyone who agreed with me and then I found Gay Bilson's admission that she finds M. F. K. Fisher's prose 'toe-curling' and objects to 'an ever-present sense of self-congratulation' in Fisher's writing*. Like Gay Bilson I was relieved to find that there is a 'cadre' of others prepared to admit foodie heresy. I was left wondering what it was I had expected and what it was I wanted from food writing. The simple answer of course is that good food writing should just be good writing, and that good writing is about words and not about food. 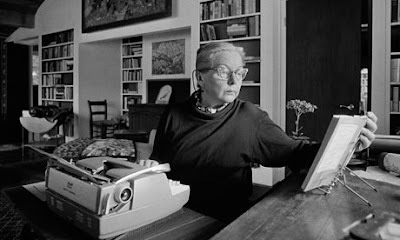 Mrs. Fisher's oft quoted reasons for writing about food make it clear that she sees herself as a writer not as a food writer. ** Food writing is writing about food; food writers are writers who write about food. But, as any member of a book group will tell you, one person's idea of good writing is another person's complete waste of time. Ultimately you either like it or you don't. 'People ask me: Why do you write about food and eating and drinking? Why don't you write about the struggle for power and security, and about love, the way others do? How Cornish is the Cornish pasty?